You want clean, safe, fresh-tasting water. It’s common knowledge that the best faucet water filter in your kitchen can help with all of those things—but it’s also well-known that some filters are not all they’re cracked up to be, while others truly shine. The best faucet water filter may be hard to find, but this buyer’s guide can help. This article will break down the pros and cons of five of the best faucet water filters on the market, and provide you with in-depth details of my personal testing and research. Reading this guide can save you time and money by helping you find the best filter right now instead of wading through reviews for hours and risking buying the wrong filter for you. How can you find the best faucet water filter of all? Read the rest of this buyer’s guide to find out! I’ll spend the rest of this article going into quite a bit more detail regarding the advantages, disadvantages, and features of each individual filter. Here I’ve provided you with a simple comparison table to help you remember and compare the details and specs of each one—so you can find the best water faucet filter for you by the end of the buyer’s guide. While no water faucet filter is likely to break the bank for most people, this is one of the more expensive filtration systems featured in this article. When it arrived at my home for testing, though, I was immediately impressed with the quality, and decided I had purchased something that was a great value even at a higher price point. Installing this product was fairly easy, and didn’t take too long. Within just a few minutes, I was ready to take my first drink of water filtered through the Wingsol Healthy Faucet—and was very satisfied. The neutral but modern look of stainless steel will match virtually any décor style, as opposed to some plastic shells which clash with the natural look of a room. In addition, the stainless steel matches most kitchen sink hardware, meaning it blends in seamlessly with what is already there. More importantly, though, the stainless steel provides extraordinary durability. While many plastic water faucet filters are susceptible to cracking and other forms of breakage or weakening, the stainless steel shell of the Wingsol Healthy Faucet system prevents this almost completely. Why Do Faucet Water Filters Break? Water filters are susceptible to breakage and leaks because of the very high pressure inside the filter. Water flows into the filter more quickly than it flows out, which causes pressure to build up inside faucet filtration systems. This manifests itself in leaks and cracks that can make your filter much less efficient and convenient to use—which is a major reason I like this Wingsol unit, with its ultra-durable construction, so much. While I love the Wingsol Healthy Faucet, nothing in this world is perfect. There is one major extra feature that the Wingsol lacks: electronic indicators of the filter’s current level of usage. Many other water filtration systems provide lights and other indicators that let you know when it’s time to change a filter. However, the Wingsol Healthy Filter does not integrate any such feature. It’s not a huge deal, because you can always use a calendar to decide when the filter needs replacing, but it adds a little guesswork where other filtration systems take it out. There is one more big advantage this offering from Wingsol has over the rest of the market, though: washable filters. Because filters get partially filled before they’re really completely use, many water faucet filter users notice a great decrease in flow speed about halfway through a filter’s lifespan. The “refreshable” (washable) filters of the Wingsol Healthy Faucet help you beat this downside of faucet filters by allowing you to remove and wash filters before replacing them. That being said, keep in mind that this is a convenience and flow speed feature—you still need to replace the filters on the Wingsol Healthy Faucet. I can confidently recommend this unit as one of the best water faucet filters because of its durability, filter quality, and flow speed. The stainless steel construction is extraordinarily solid, and the installation of this unit surprisingly easy. This offering from Powpro seeks to be one of the most modern and advanced water faucet filters on the market. From its bright blue, futuristic-looking aesthetic to its water enhancing qualities on top of its filtering abilities, it really wants to set itself out from the faucet water filter pack. More Durable than Most Plastic Systems—But Is It Durable Enough? Though the Powpro PP-JTP05 is made of plastic and not metal, I knew immediately upon opening the packaging that this is a high-quality plastic that will not break easily. After months of testing and usage, I still haven’t found any cracks or leaks—which is a big achievement when it comes to water filtration at the faucet. That being said, the plastic still isn’t as durable as stainless steel. While metal construction is more expensive upfront, it can save you money in the long run, because you won’t have to replace your unit as often. One of the coolest features of this product is its water enhancement capability. In addition to an activated carbon filter—a major component of virtually all in-home water filtration systems, whether they’re at the faucet or in the pitcher—this unit contains alkaline to balance the water’s pH and minerals to enhance municipal or well water’s health qualities. You know how expensive enhanced water can be at the store, and if you drink it, you may have noticed its clean, refreshing taste and perhaps even felt healthier because of it. One big advantage of the Powpro PP-JTP05 is that it can allow you to create enhanced water much more cheaply and conveniently in the comfort of your own home. On top of the extra features of the filter itself, Powpro also gives you more options when it comes to replacing your filter. Instead of simply offering one replacement filter option for this model, as most water faucet filter manufacturers do, Powpro gives you the power of choice by allowing you to select a filter best suited to your needs. For example, if you drink from a municipal water supply, you will most likely be concerned with filtering out taste-affecting additives like chlorine. If you live in a more rural area and draw water from your own well or natural source, you’ll want a filter that focuses more on sediment reduction. With Powpro, you can choose the filter that best suits your needs. As with everything else, there are a few issues that keep the Powpro PP-JTP05 from absolute perfection. One is a possible durability flaw, while the other is the flow speed. The biggest vulnerability this unit has is an internal part in its switch that I have heard from several friends and other reviewers can go bad. Part of my testing process for all of the faucet water filters I reviewed for this article was a stress test on all switches and other moving parts, and this switch did fail under the most strenuous test. However, with careful everyday use, this part should be perfectly durable. I would not recommend switching the unit from filtered to unfiltered mode more often than necessary, and if you allow small children to use this unit, the switch may become disabled. I found it perfectly suited for ordinary use, though, so it’s not a huge strike against this filtration system. The issue with flow speed is also not a huge one, but unfortunately it’s not something that much can be done about. Perhaps it’s due to the water enhancement capabilities, or maybe some internal design choices. Either way, the flow speed in this unit’s filter mode is a bit slow. 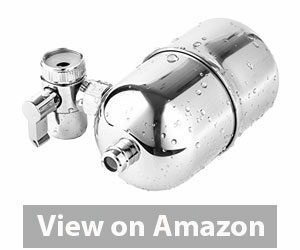 Because these are the only major flaws, though, and because this unit has so much to offer, I would definitely recommend it to anyone seeking one of the best faucet water filters. This is especially good for those health enthusiasts who would like the enhanced water feature, and for those who like the striking blue color of the unit. 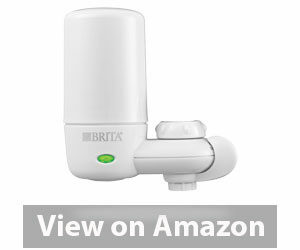 Brita is one of the big names in the water filtration industry, known both for its faucet water filters and its variety of filtration pitchers. I have long relied on a Brita filtration pitcher myself, before deciding to switch to the convenience of a faucet-mounted in-home water filtration system. Because I’ve used Brita’s pitcher for so long, I was excited and curious to see how the On Tap faucet water filter compared both to other faucet water filters and to Brita’s line of pitcher filtration products. Upon receiving the product, I was immediately delighted to find that this system comes with a variety of adapters for different faucet types, as well as an extra filter for the first replacement. One of the big advantages of purchasing the Brita On Tap filter is Brita’s status as a water filtration industry leader. 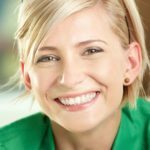 Why, you may ask, is purchasing from an industry giant an advantage? The answer is simple: components like replacement filters are easier to find and cheaper. This advantage can save you not only money, but time. One of the biggest purposes of a water filtration system is to ensure you always have cheap and easy access to clean water, instead of having to go out and buy bottles and jugs of purified water, which quickly becomes a waste of both time and money. Brita can take the savings of your time and money even further because of their ubiquitous and affordable replacement filters. When you find your ideal faucet water filter, it should be so simple that you don’t even think about it. Another big convenience and effectiveness feature of this offering from Brita is its electronic filter replacement gauge. Instead of simply measuring time like some gauges, this advanced unit actually lets you know exactly when you need to replace your filter based on use. This is a big feature that makes your filtration system more effective and efficient, because you won’t keep using a filter that has already well passed its prime. That means that your flow speed will stay high and your water fresh. You might think, from all the positives I’ve mentioned, that I think the Brita On Tap system is far and away the best faucet water filter. While it is definitely a contender, there is one serious issue that keeps it from being the most obvious choice right away—that is its durability. While the outer shell is durable, especially for a plastic model, the components that actually mount the filtration system to your faucet don’t always hold up to pressure very well. A lot of my friends and acquaintances who have used this system have had problems with leaks, ranging from the very small to the very dramatic. During my stress testing, I managed to get a leak to spring up pretty quickly simply by running large amounts of water through the filter. While this isn’t directly representative of the effects of everyday use, it does show that there is one inherent design flaw that causes leaks. Even with the lack of durability in the unit’s attachments to the faucet, I would certainly recommend this product. Between its filter quality, the ubiquity of replacement filters, and the handy electronic filter replacement gauge, it adds more than enough value. One of the reasons I don’t hold the durability problem against this faucet water filter too much is that no water filtration system is designed to last forever. Although technology has come a long way in recent years, the difficulty of perfectly sealing a filtration system is still a serious one, especially considering how much pressure is produced inside faucet water filters. Even the best designs and strongest materials can’t make the faucet water filter 100% permanent. This doesn’t mean that durability doesn’t matter, but that proper care and maintenance of your chosen water filter is an absolute must. With the right care, even a very weakly built filtration system will last longer—and with abuse and overuse, even the toughest will quickly fail. This offering from Irealist, with its sleek modern design aesthetic and simple installation and filter access, wants to be one of the best-looking and easiest to work with water filters on the market. For the most part, it succeeds! There’s certainly a reason that this is one of the top five water faucet filters on the market. The flow speed of this unit is incredible, and the water filtration just as effective even at high speeds. I know, because I tested the water for a variety of chemicals before and after filtering. As soon as I set this unit up, I was amazed by the flow. The installation was also incredibly easy, which is also a plus for any water filtration unit. I had it up and running in about 12 minutes the day that I got it. In addition, it comes with a variety of adapters, so that it will fit virtually any sink. On top of everything else, the switch to change from filtered to unfiltered mode is smooth and easy to use. It’s also larger than most other switches on water filtration systems, making it easy to grip. Best of all, though, it’s incredibly durable. None of my extensive stress tests on the Irealist switch caused it to fail. Downsides: Is It as Easy to Use as It Seems at First Glance? All in all, this was one of the easiest to use water filtration systems that I came across over the course of preparing to write this buyer’s guide. When it came time to replace the filter, though, things changed. Finding a replacement filter for this unit was extraordinarily difficult. This could be because Irealist is a smaller, newer company in the wide world of water filtration, or for some other reason. Strangely, the complete units are fairly easy to find—it’s just the filter replacements that are difficult. Eventually, though, when I did find a replacement filter, it was easy enough to install, and worked just as effectively as the original. Overall, I can definitely recommend this product due to its easy of installation and use, as well as its impressive flow speed. If you know anything about in-home water filtration, you know that Pur is one of the biggest names in the business. When faucet water filters first started to become popular and widely used, Pur focused all its energy on creating a wide variety of products to build a water filtration empire—and it’s still an industry leader today. How does its 3 Stage Water Filtration Faucet Mount stack up against the other best options on the market, though? Read on to find out! At a great price and available in a variety of colors to match any kitchen, the Pur 3 Stage Water Filtration Faucet Mount seems to be one of the greatest values in the water faucet filter market. On top of that, its replacement filter units are easy to find and extremely cheap, and the device is easier to install even than most other filtration systems included in this buyer’s guide. While Pur offers a variety of filtration devices, they themselves state that their 3 Stage filters are the most effective due to their ionization properties and variety of filtration media. In addition, replacement filters are available in affordable bulk packages, to save you even more money! Pur also offers you a two year warranty to protect your investment. Now, I’m always impressed with a warranty—not only because of the protection it affords me, but because of the confidence it shows a company has in its products. Although this unit isn’t the absolute cheapest on this list, it might be one of the best values out there. While it lacks some of the extra features of more expensive units, it does everything it needs to do really well, and all in a single simple package. This is a newer version of Pur’s last 3 Stage model, which I used at home for a while. The old one was great, but this new and improved version is even better. While the installation and use remain unchanged, one thing has vastly improved: water flow speed. This isn’t the fastest filter on the market, but it’s pretty close. The flow speed is greatly improved compared both to this unit’s predecessor and to other market leaders. I was very impressed with the flow speed, especially when considered alongside all the extra features included in the filter itself—including not only activated carbon filtration, but filtration over minerals to improve taste. As always, though, the thing that plagues even the best water faucet filters is problems with durability. Although this unit is overall very well made, it does have some problems staying attached to the faucet due to its simple one-click installation. This isn’t a dealbreaker, but it does increase the likelihood that the whole unit will fail without the proper care. The best way to downplay the durability issues is to be as gentle with the unit as possible, and not to turn the switch too hard or bump into the filtration unit while using the sink. Because the durability issue isn’t a huge one, and because of all the extra features this unit seamlessly integrates into its system, I would confidently recommend the Pur 3 Stage Water Filtration Faucet Mount to just about anyone.It’s an especially good choice if you’re on a slightly tighter budget—though it’s not the cheapest unit around, it might just be the cheapest to run for a year because of its readily available and highly affordable replacement filters. What’s All This about Filtration Media? Switching the Filter: Bad for Durability? Now you’ve read about each of the top five water faucet filters on the market—but what do all those details really mean? As with any highly technical product niche, water faucets can confuse newcomers, even though they’re something that everyone needs! Luckily, I’m here to help. I’ll spend a lot of the rest of this buyer’s guide breaking down some important terms, specs, and ideas that might affect your purchase of the best water faucet filter out there. Don’t worry—I’ll keep things as fun and simple as I can. By the time you’ve finished this section of the buyer’s guide, you’ll be much better equipped to decide which features matter the most to you. The best water faucet filter across the board might not be the best for you personally if you have very specific wants and needs. At the very end of this article, I’ll tell you what I think the best of these top five water faucet filters on the market is—and I’ll provide a few suggestions about which filters are best for what types of people, too. Filtration media is essentially the stuff inside a water faucet filter—or any other type of media filtration system, from the purification bottles that hikers use to industrial recycling and sewage systems—that separates the water from all the physical particles that are in the water. The filtration media is what you rely on to get out everything that you don’t want in your water, from toxic horrors like lead to more subtle, taste-affecting additives like chlorine. 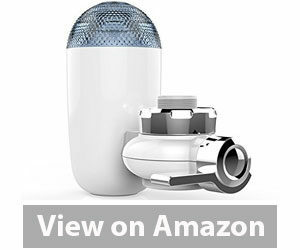 All in all, it’s truly the most important feature of a faucet water filter, because it’s what does the actual filtering. While all the water faucet filters featured in this buyer’s guide have filtration media, they don’t all work the same way. In fact, differences in filter media are what cause some of the biggest differences in the quality of water that comes out of a water faucet filter, as well as other things, such as the speed at which the water comes out. Most filters begin with a top layer designed to filter out large particles, which the water passes through as it initially leaves the faucet. The water then passes through several more layers of filtration, designed to take out different sizes of particulates. In almost all water faucet filters, for example, at least one of these layers is made of activated carbon. While all of the units reviewed in this article have high quality filtration media, not all water faucet filters do. That’s why it’s important to do your research before buying any water filter, to ensure that you’re getting a product that will actually improve the safety, taste, and quality of the water from your faucet. A few of the products reviewed in this buyer’s guide—namely the Wingsol Healthy Faucet and the Powpro PP-JTP05—have specialized filtration media that you won’t find in many other systems, if they’re available at all. Let’s start with the Wingsol Healthy Faucet. While most of its filtration media is pretty standard (at least among the best water faucet filters), one of its layers is a solid but porous ceramic layer that provides extraordinary filtration. This part of the filtration media is effective enough to even remove bacterial contaminants like salmonella, and is also highly effective at removing sediments and additives that can affect your water’s taste and coloration. The Powpro PP-JTP05 adds water enhancement capabilities to its specialized filtration media. Essentially, the water is filtered not only through materials that are designed to take things out of the water (things like bacteria, chemicals, and sediment), but also through materials that add to the water—though they add good things, like minerals. While all the filtration systems in this buyer’s guide have highly effective media, the two units talked about above really go above and beyond with what’s inside their filters. All filters require some maintenance and careful use, so this section isn’t really directly related to buying water filters. However, it does have a lot to do with keeping your filter running in tip-top shape, which saves you time and money—and saving you time and money through water filtration is my whole purpose in writing this guide. There will be specific care instructions included with whatever water filter you choose, and you should follow those above all else. However, you should also keep these more general but still highly important instructions in mind. Never put hot water through your water filter. This can disturb and damage the filtration media, and you also risk physical damage to any plastic components, whether they’re inside or part of the outer shell. Running hot water through your faucet water filter can reduce its effectiveness and lifespan. Be sure not to do it. If you have recently run hot water through your faucet, you should run cool water on unfiltered mode for a few seconds before switching to filtered mode, in order to keep leftover hot water from getting into the filter. Hot water going through the filter can not only reduce its lifespan, but can even reduce some of the contaminants caught into the filter back into the water! If you need filtered hot water—to make tea, for example—simply heat up the water separately. In the mornings, I usually pour enough filtered water for the day’s coffee and tea as soon as I get up, as well as filling bottles to keep cool for work and travel. In addition, you should also run cool, unfiltered water from your faucet every morning before switching to filtration mode to fill up drinking water or coffee pots for the morning. Running a little bit of water before switching your filter on will allow your sink to push out excess buildup of things like chlorine on its own, which will then make your filter last longer. Obviously, filters have a switch built in for a reason: you don’t need filtered water all the time, and using filtered water all the time would greatly reduce the lifespan of your filter. However, because the switch is one of the few moving parts on a water faucet filtration unit, it is also one of the most frequently broken parts. To preserve your water filter’s lifespan, use the switch as infrequently as possible. Switching the filter from filtration mode to non-filtered mode a few times a day is fine; that’s what the switch is meant for. Flicking it up or down several times in an hour, though, is sure to reduce your unit’s lifespan. If you follow these simple care instructions, you can make both individual filters and the faucet filtration units themselves last much longer. Now that you know how to care for your filter properly, let’s move on to the last—and perhaps the most important—part of this buyer’s guide: the verdict. 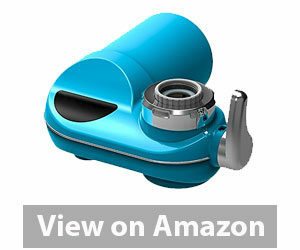 In my humble opinion, the Wingsol Healthy Faucet water faucet filter is the best on the market right now. I chose it for several reasons, but most of all its value. While the main system and the replacement filters are at a price point on the higher end of this market, they last longer and are easier to use—making the extra $5-10 very much worth it. The durability of the unit’s outer shell was one of the biggest selling points for me. The refreshable filter is also a big one, as it cuts down on one of the most common problems with water faucet filtration units: a slowing-down of the flow of water as a filter moves along its lifespan. That being said, I’m excited to see what developments water filter designers and manufacturers come up with in the coming years. Filtration is a big industry and has a big impact on our lives, both at the faucet and on a much grander scale (including industrial, governmental, and humanitarian applications). In addition, I’d like to give two other water filters a recommendation for certain users. 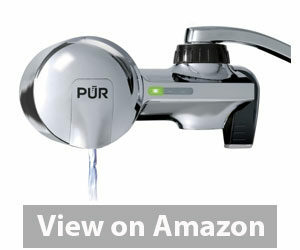 First, the Pur 3 Stage water faucet filter. The Pur unit reviewed in this buyer’s guide is a perfect budget-conscious choice, not because it is an extremely cheap unit, but because it packs so much value into a relatively affordable package—and because it is one of the only units for which you can buy replacement filters in bulk for added value. While it lacks an electronic readout, it packs in plenty of other features that beat just about every other unit at its price point, including added mineral filtration and greatly increased flow speed. Last but not least, I would also like to recommend the Powpro PP-JTP05 to anyone with very particular health or taste concerns regarding their water, such as drinkers of enhanced water. This is because its variety of replacement filter options allows for true customization of your water, and because its included water enhancements such as mineral filtration and pH balance work to make your water healthier and more thirst-quenching. That being said, finding the best water faucet filter for your own personal needs is what’s most important. Try a few filters out, ask friends, and read some other reviews if you have to—just make sure you get a unit that has the features and attributes that will make your life easier and more enjoyable. I hope you’ve enjoyed reading this article, and I truly want it to help you find the best water faucet filter for you. If you have any questions or think I missed anything—or if you have another water faucet filter that you think is the best on the market—let me know in the comments below!